Hanging with Jesus at the Sunnybrook Hammock Park! If you visit Sunnybrook you will see several large poles in the ground on our campus. You might wonder to yourself, what are all those poles in the ground there? Maybe a sundial or something weird!!?? Well, you don’t see it everyday, but it’s our Sunnybrook Hammock Park! 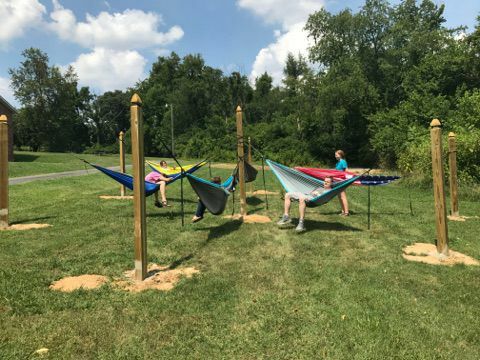 Our youth group, Children, and even adults enjoy using the hammock park for our gatherings and groups. 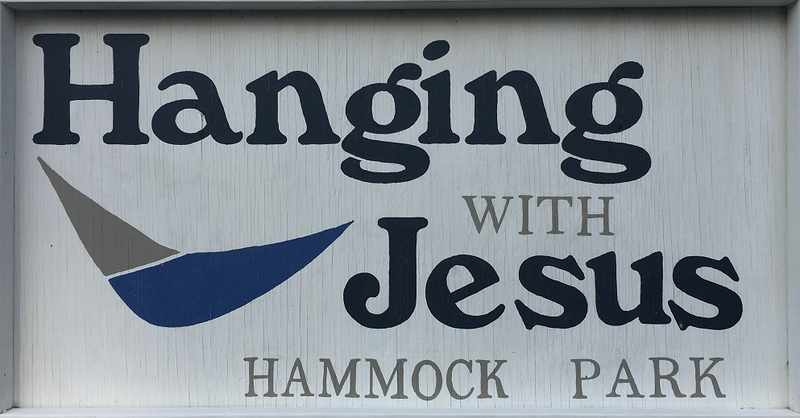 Bring your hammock and hang with Jesus at the hammock park. Hang in our hammock park at your own risk!